Med Health Services (MHS) is a high-technology CAP and CLIA Certified laboratory that delivers convenient, effective, and efficient diagnostic testing solutions on an as needed, when needed, and where needed basis. We set the gold standard in customer service, clinical outcomes and patient satisfaction with our 12 noon STAT turnaround time. Our rapid results for diagnostic laboratory services help optimize your staff’s ability to care for patients. MHS has built its reputation by providing the highest quality of care along with an extensive list of routine and esoteric testing to help physicians diagnose, treat, and monitor disease in the comfort of their own office or clinic. By partnering with MHS, a conventional physician’s office becomes a diagnostic testing facility that enables physicians to spend more time diagnosing and treating patients–leading to more effective and efficient patient encounters. This ultimately enhances the quality of care in any medical office. For physicians that collect specimens in their office, MHS couriers provide dependable, on-time pick-up and delivery services. Patient tests are performed at our local laboratory, located in Monroeville, PA. Our experienced, professional laboratory technicians provide the local and personalized account service that our clients deserve. Patients may also have their specimens collected at any of our Walk-In Laboratory Draw Stations located throughout the Tri-State Area. 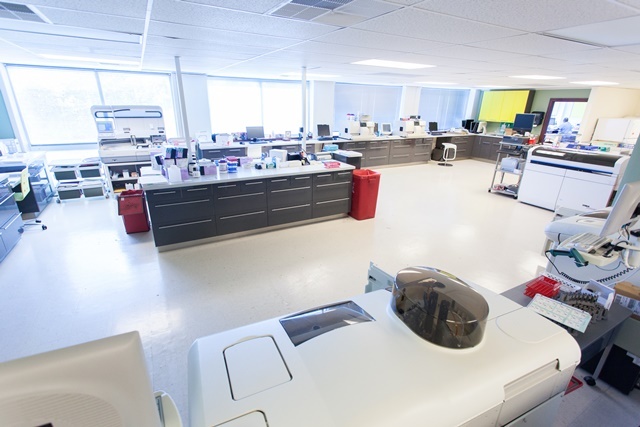 Our suite of outpatient care laboratory solutions provides physicians with the highest quality care, efficient EMR connectivity and STAT testing services as required. Our rapid turnaround times ensure physicians timely answers so you can focus on what matters most—improving the health of your patients. MHS works with physicians to ensure patients receive the lowest out-of-pocket prices available in our area for outpatient laboratory testing and specialized disease markers—ensuring your patients get the tests they need, and physicians get the information they need for early detection and effective treatment. We know that physicians need dependable results quickly to properly diagnose and treat medical conditions. As such, our in-site laboratory allows us to emphasize a rapid turn-around time that typically has results back in your referring physician’s office that same day or the next morning. Our medical laboratory is open 6 days a week, 24-hours a day and is available to all patients on a walk-in basis, regardless of insurance.